The Rolex Submariner 16613 has been replaced by the 116613, but the original is still a valuable collector’s item. 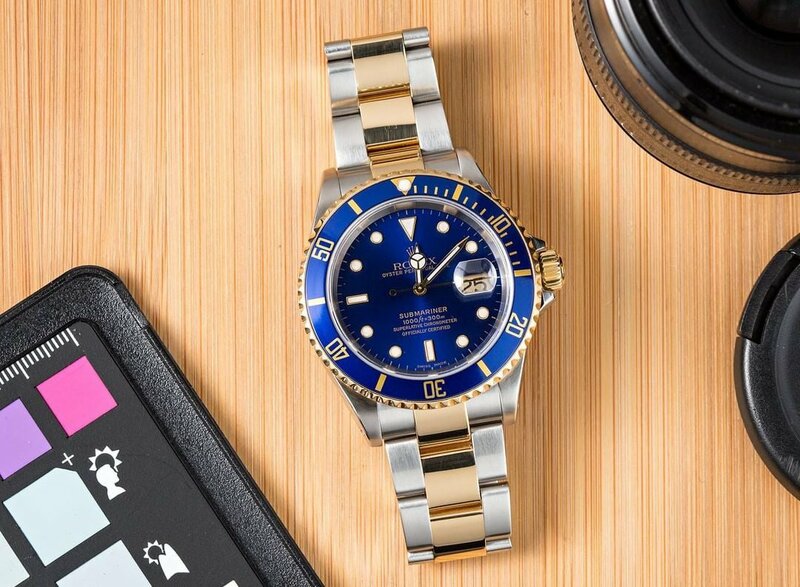 In production since 1988, the 16613 was released as a continuation of the two-tone Submariner line that began in 1984 with the 16803. The 16613, another two-tone model, was released alongside the 16610 which was completely stainless steel. The dial on the Rolex 16613 was a very iridescent color, unlike the solid color of the new 116613. Further, the new watch boasts a “Maxi dial” while the original had slimmer hands and smaller markers. The 16613 also had narrower case lugs and crown guards than the new watch and lacked the date magnification bubble that makes the date easier to read. Probably the biggest difference is the bracelet, which was composed of hollow links in the 16613 but is now all-solid links in the newer model. A Two-Tone Submariner 16613 has a Maxi Dial and slim hands. The 16613 Submariner retailed for $9,300.00 just before discontinuation. Despite substantial upgrades on the two-tone Submariner, the 116613 retails at only a slightly higher price at $10,400.00. 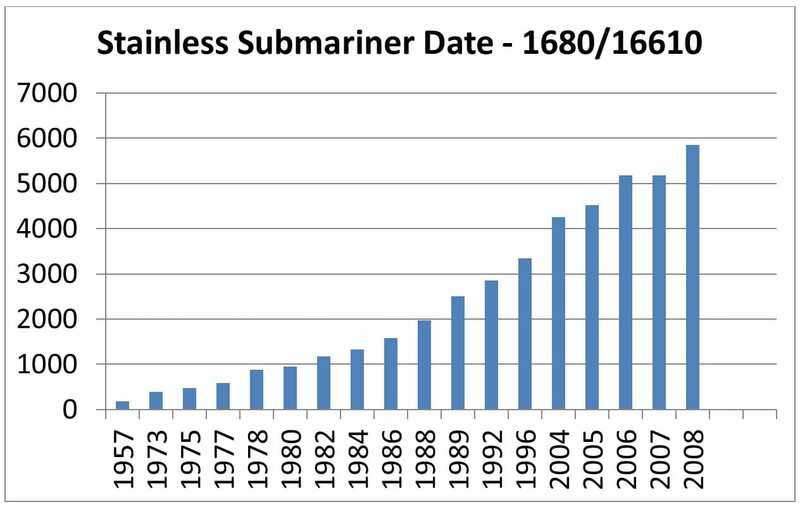 You can view the steady appreciation of the Rolex 16613 in the graph below. Many collectors prefer the 16613 to the newer 116613 in terms of appearance. The older watch is slimmer and more proportionate than the “super size” newer watch and the sunburst color dial is one of the most fascinating ever made by Rolex. Some also point out that the old watch’s clasp withstood wear far better than the single, polished piece of metal that is now being used as a clasp for the 116613. While the new clasp is nice and shiny, the old clasp was more resilient. The Submariner is a line that has brought a great deal of attention to the thing Rolex does best: make watch interiors. 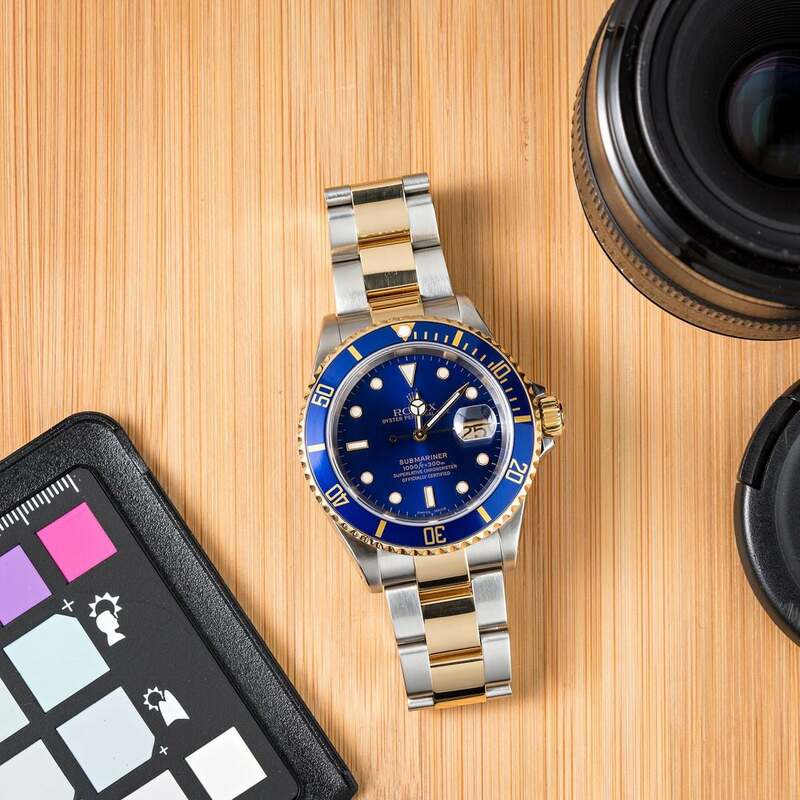 While the exteriors are what gets seen and talked about, the bottom line is that the interiors are what make the watches work, and the Submariner has the very best of Rolex technology. Submersible up to 1,000 feet or 330 meters, no one has ever topped the sheer dependability of the two-tone Rolex Submariner design. This is one reason why these watches were chosen as dive watches for the Royal Navy. While the beautiful 116613 is a triumph of innovation and no doubt represents a great deal of effort on Rolex’s part to keep up with the times, the old 16613 is hard to beat in terms of beauty, dependability and stability. Many collectors will want to hang on to their 16613 models as long as possible!